River estuaries are ecotone environments where freshwater and seawater mix together. Seasonal rainfall is likely to influence the salinity, turbidity, and development of estuarine fronts, thus alter the distribution of aquatic animals at an estuary. Indo-Pacific humpback dolphin is a coastal species that use estuaries as their core habitat. According to previous studies, the distribution of humpback dolphins in their estuarine habitat moved seaward during wet seasons. In addition, circling movement associated with the hunt for epipelagic fish increased during flooding tides. However, it remains unclear how seasonal rainfall influences the estuarine habitat use of humpback dolphins. During July 2009 and October 2014, acoustic data loggers were deployed at the Xin Huwei River estuary, Taiwan to record ultrasonic pulsed sounds. 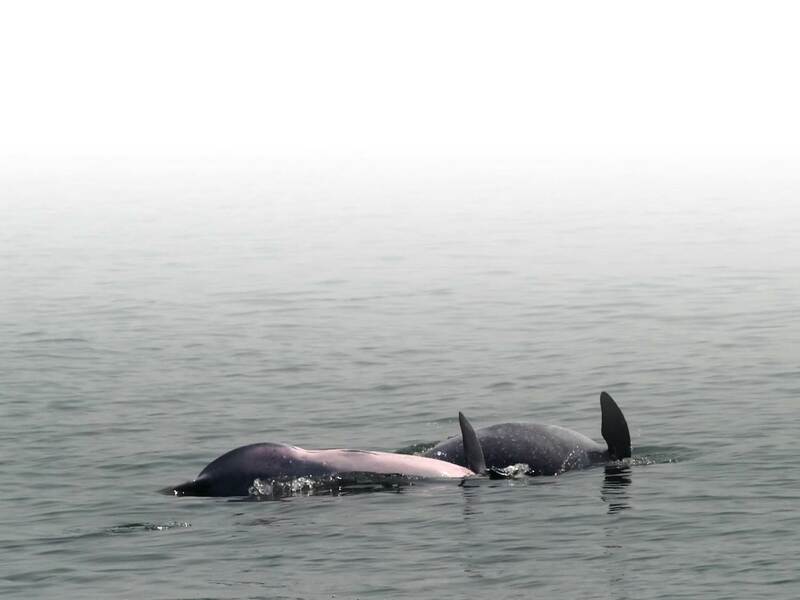 Biosonar clicks of humpback dolphins were detected using an automatic detection algorithm. The temporal variations of humpback dolphin behavior were investigated in terms of detection rate, occurrence pattern within the tidal cycle, echolocation behavior. The behavior of humpback dolphins significantly varied among the four monitoring sections and two periods (wet and dry seasons). The tide related occurrence was evident at the entire monitoring area during wet seasons, however, the similar occurrence pattern was only observed at the inner and outer estuary during dry seasons. In addition, long distance biosonars were much frequently detected at the inshore and offshore sections. During drought periods, the inshore and offshore sections are less likely to be influenced by the mixtures between freshwater and seawater. Our results suggest the river runoff may play an important factor in shaping the estuarine habitat use of humpback dolphins. Therefore, it is necessary to consider the interception of river runoff in the conservation management of humpback dolphins in an estuarine habitat.